Home » The Nagato-class battleships (長門型戦艦 Nagato-gata senkan). The Nagato-class battleships (長門型戦艦 Nagato-gata senkan). 2. The Nagato-class battleships (長門型戦艦 Nagato-gata senkan). This class contained two dreadnought battleships (Nagato and Mutsu) and were built for the Imperial Japanese Navy (IJN) during World War I. Due to some limitations and delays, they were not completed until the end of the war. 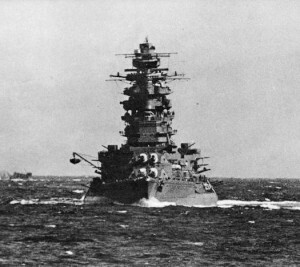 Nagato frequently operated as a flagship in combat and training operations. They also performed one of the first humanitarian missions in the history of navy because they carried supplies for the survivors of the Great Kantō earthquake in 1923. 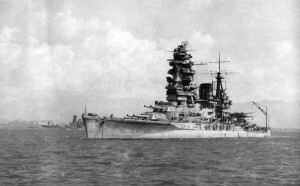 They were subjected to many upgrades in 1933–36, which resulted, like in the ones performed for the Fuso and Yamashiro, with a new type of superstructure showing the pagoda mast style. Both battleships briefly participated in the Second Sino-Japanese War in 1937. Remarkably, Nagato was the flagship of Admiral Isoroku Yamamoto during the attack on Pearl Harbor on 7 December 1941. This attack started the WWII in the pacific. Imperial Japanese Navy Nagato Battleship (1920-1946). The flagship of Admiral Yamamoto during attack on Pearl Harbor. High definition and filtered with HT color tuning. Nagato battleship at scale 1/700 made by Aoshima. 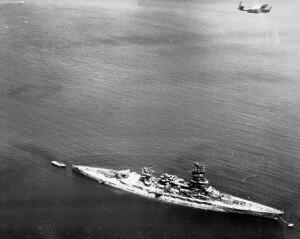 Both units participated in the Battle of Midway in June 1942, although they did not see any combat. Compared with Nagato, Mutsu participated in more operations because Mutsu was not a flagship. 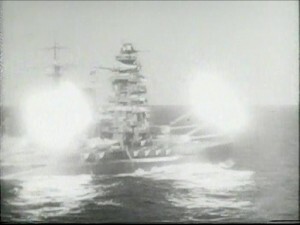 Mutsu, for example, had a role in the Battle of the Eastern Solomons in August. Mutsu was returning to Japan in early 1943. 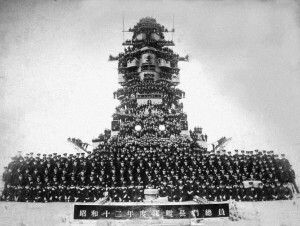 In June 1943, it occurred an incident that determined the existence of Mutsu and its crew. One of Mutsu‍’​s magazines suddenly detonated. The reasons were not reported and they are still somehow obscures. The explosions killed 1,121 crew and visitors and destroyed the ship. 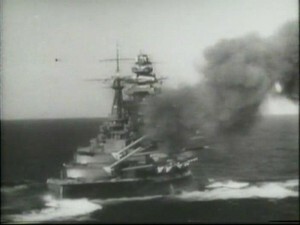 The IJN reported that “it was the work of a disgruntled crewmember”. The information and the incident were tried to keep secret for a while. The survivors were dispersed in an attempt to conceal the sinking to keep up morale in Japan. Many parts of the ships and wrecks were salvaged after the war and are on display in Japan. Mutsu Battleship at scale 1/700 made by Aoshima. Nagato did not participated in many military operations. It was too valuable to be lost as a flagship and the war started with the power of the carriers increasing. Nagato spent most of the first two years of the war training in home waters. Nagato was assigned to Truk in mid-1943, and in the Battle of the Philippine Sea in mid-1944 Nagato was first time attacked by American aircraft. The first time that Nagato fired her main armament was at the Battle of Leyte Gulf in October 1944. As a result of the battle, she was damaged slightly and returned to Japan. 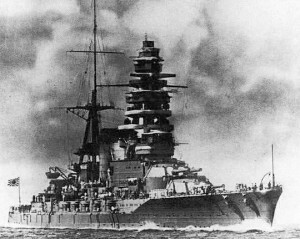 Due to lack of fuel, among other strategic reasons, Nagato was not repaired to be ready to sail again. Instead of that Nagato was transformed into a floating anti-aircraft platform. Its role was to protect coastal waters operating as a coastal defense fortress. When the war ended, Nagato was captured and was a target for U.S. nuclear weapon tests. This operation was called Crossroads and occurred in mid-1946. 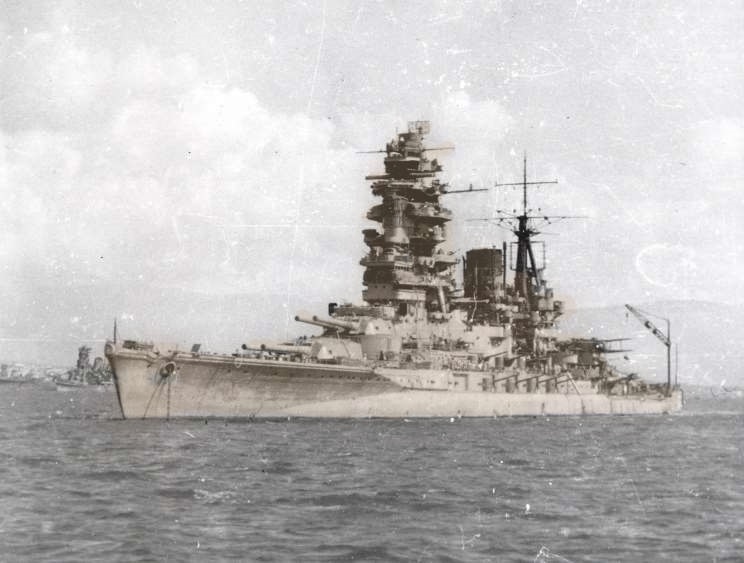 Although the superstructure of Nagato survived the first test with light damage, Nagato could not resist a second atomic explosion and was finally sunk in mid 1946.